1.1. The EU General Data Protection Regulation, the Data Protection Act 2000 and the Data Protection Adaptation Act 2018 serve the right to protection of personal data. We process your data exclusively on the basis of legal regulations (DSGVO, DSG 2018, TKG 2003). 2.2. It is very important to us that all personal data that you provide to us dare to protect and keep safe. You’ll find out more in this document about how we use and process your personal information. 3.1. The collected personal data we need to fulfill the contract, offset, asserting the contract claims, for customer service and promotional purposes. The data will be collected, stored, processed and used. 3.2. The legal basis for the processing of your personal data are contract fulfillment, legitimate interests, fulfillment of legal or contractual obligations as well as your consent (eg contact form, cookies). The non-provision of the data can have different consequences. 3.3. We process your personal data: Name, address, telephone number, E-Mail, as necessary, for the duration of the entire business relationship (from initiation, settlement to termination of a contract) as well as in accordance with statutory retention and documentation requirements, which are inter alia from the companies code (UGB), the Federal Tax Code (BAO) and until the termination of any legal disputes, current warranty and guarantee periods, etc. 4.1. Your details, including personal data from our contact form or E-Mail, will be used to the processing of your request via our own mail server, further processing worked and saved with us. This information will be provided without your consent not collected or disclosed. Without this data, we cannot handle your inquiries. 4.2. The data processing takes place on the basis of the legal regulations of the § 96 Abs 3 TKG and Art. 6 para 1 lit a (Consent) DSGVO. 5.1. 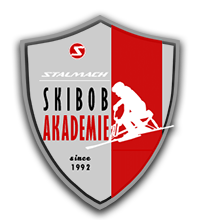 Please note that for the purpose of simpler shopping and for later winding up the contract by the webshop operator Stalmach Group within the scope of cookies the IP data of the subscriber, as well as name, address and credit card number of the buyer. Beyond that stored for the purpose of processing the contract following data also with us: telephone number, E-Mail. The data provided by you are necessary for the fulfillment of the contract or for taking precontractual measures. Without this data, we cannot complete the contract with you. you can inquire about our order processors at stalmach@stalmach.com. TKG and Art. 6 DSGVO (in particular, the consent and / or necessity of fulfillment of these tasks). 6.1. Cookies, other tracking technologies and functions of the web analysis tool 1&1 WebAnalytics , offered by our hosting provider and installed on our own server. These data are for personal use and will not be disclosed to third parties. 6.2. Cookies are small textual information that involves recognition of the user and analysis of your user making our websites possible. The information generated thereby will be transferred to the server of the provider and stored there. They serve to make our home making the web presence more user-friendly, effective and secure. Moreover cookies are used to measure the frequency of page views and general navigation. 6.3. By using our website, you consent to our setting cookies. You may refuse to accept cookies in your browser settings. Like this in the Single works, please refer to the instructions of your browser manufacturer. If you decide against certain technical and / or functional cookies, the functionality of our website might be restricted. Some cookies remain stored on your end device until you delete it. 6.4. Your IP address is recorded, but immediately with IP anonymization method pseudonymized. As a result, only a rough localization is possible. 6.5. The relationship with the web analytics provider is based on standard contractual clauses / an adequacy decision of the European Commission. 5.6. The data processing takes place on the basis of the legal regulations of the § 96 Abs 3 TKG and Art 6 DSGVO (in particular consent). As privacy of our users is important for us, the user data is pseudonymized. 9.1. We use Google Fonts from Google Inc. (1600 Amphitheater Parkway Mountain View, CA 94043, USA) on our website. Google Fonts are used without authentication and no cookies are sent to the Google Fonts API. If you have an account with Google, none of your Google Account information will be transmitted to Google while using Google Fonts. Google only records the use of CSS and the fonts used and stores this data securely. More about these and other questions can be found at https://developers.google.com/fonts/faq. What data Google collects and how it uses this information can be found at https://www.google.com/intl/en/policies/privacy/. 10.1. To protect the security of your data during transmission, we use state-of-the-art encryption techniques (such as SSL) over HTTPS. 11.1 Our website uses features of Facebook Inc., 1601 S. California Ave, Palo Alto, CA 94304, USA. When you visit our pages with Facebook plug-ins, a connection is established between your browser and the Facebook servers. Data is already being transferred to Facebook. If you have a Facebook account, this data can be linked to it. If you interact with the plugins, for example, press the “Like” button or leave a comment, the corresponding information is transmitted from your browser directly to Facebook and stored there. If you do not wish to assign this data to your Facebook account, please log out of Facebook before visiting our page. Interactions, in particular the use of a comment function or the clicking on a “Like” or “Share” button are also passed on to Facebook. Learn more at https://de-de.facebook.com/about/privacy. 12.1. If your consent is necessary for the processing of your data, we will process it only after your explicit consent. 12.2. Basically, we do not process any personal data of minors and we are not authorized for doing this. By submitting your consent, you confirm that you are older then 14th years or the approval of your legal representative. 12.3. 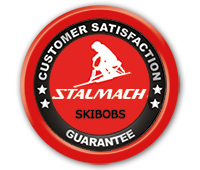 You can revoke your consent at any time at the following e-mail address: stalmach@stalmach.com . In this case, the data previously stored about you will be used anonymously and subsequently only for statistical purposes without personal reference. By means of the revocation of consent, the legality of the due the consent until the revocation won’t be affected. 13.1. Stalmach Group implements technical and organizational security measures in order to protect the stored personal data against accidental or intentional manipulation, loss or destruction and against the access of unauthorized persons. Our security measures will be improved in accordance with the technical progress. 14.1. Despite careful content control, we assume no liability for the content of external links. The content of linked pages are the sole responsibility of their operators. 16.1. You have the right to request information from the person responsible Stalmach Group, Leogangerstrasse 51, A-5760 Saalfelden – Österreich on the personal data concerned at any time. Insofar as there is no statutory, you have the right to delete this data and objection against the processing. You also have the right to correct the data to restriction of processing, data portability and complaint to the Austrian Data Protection Authority (Wickenburggasse 8-10, 1080 Vienna, e-mail: dsb@dsb.gv.at).